Bunzman who brought you three singles "Faith", "Belle Sweet" and "Oya Jo" is back with a brand new joint titled "My Life" featuring Maytronomy and Tolu. 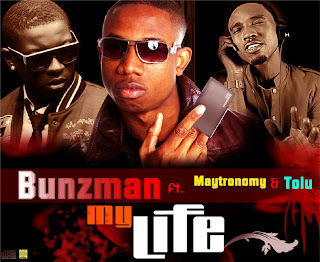 "My Life" is the forth single off his forthcoming album "Out Of The Box". My Life is produced by TK.